For years I was really intimidated by cheese (it’s moldy, and stinky and can be kind of weird looking!) But after spending some time experimenting with different cheeses I finally feel comfortable picking out cheese I know I’ll love. 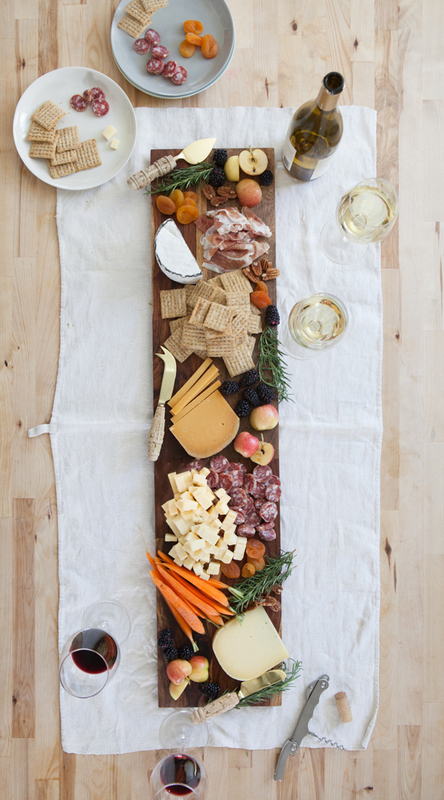 This past summer I became obsessed making cheese plates and made it part of my 52 Dinner Parties project. 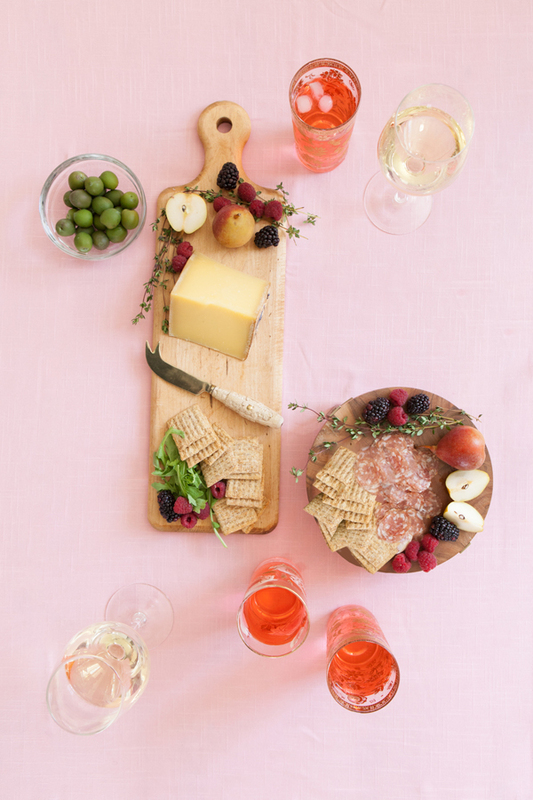 But put aside all your fears, because today we’re partnering with Triscuit to do a post on a few tips I’ve learned on how to put together a cheese plate. • Pick one Cheese You Like. I tried Comte at a friend’s house in Paris and loved it. It’s a nice basic, nutty, creamy cheese. I used that as a jumping point to trying other cheeses. “I really love Comte, can you recommend other cheeses that are similar?” I was able to discover several other cheeses I love this way. • Find Someone Who Knows. Sometimes I get to a cheese section at a store and no one is around but once in a while you find someone that is super knowledgeable about cheese. (It happens to me every few months.) When this happens I corner that person and ask them a million questions about the cheeses I’m buying, I ask for suggestions, and even ask about any new cheeses. 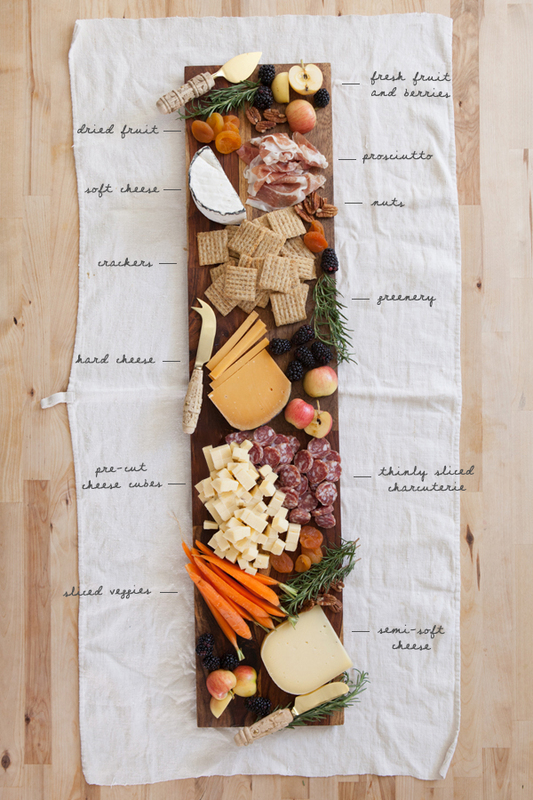 •Ignore Cheese Plate “Rules”. I think part of the reason I felt intimidated by cheese is some of them look kind of scary, the mold freaked me out a little. In addition I had tried several pungent cheeses and after giving them several fair chances I admitted to myself that I just didn’t like them. Every cheese plate guide I read demanded that I have a stinky cheese and a variety of goat, cow and sheep cheeses. That’s great if you love them but once I had experimented a lot I felt comfortable putting together interesting cheeses that I loved (and avoiding the ones I didn’t.) But don’t feel obligated to add a goat cheese if you don’t like the flavor. Sometimes it’s also nice to have a pre-made snack for guests to grab. Triscuit has a bunch of recipes on their Made for More Pinterest board. We included one along with our cheese board below. 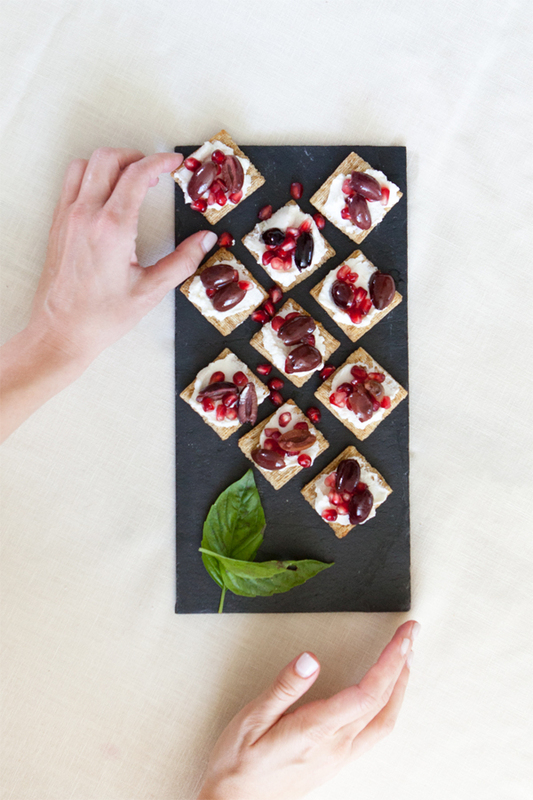 It only has 3 ingredients: pomegranate seeds, olive and ricotta so they were super easy to make. • Everything Keeps! Guests are always impressed when I can throw together a cheese plate for last minute party but it is actually a really easy and low-maintenance party food. 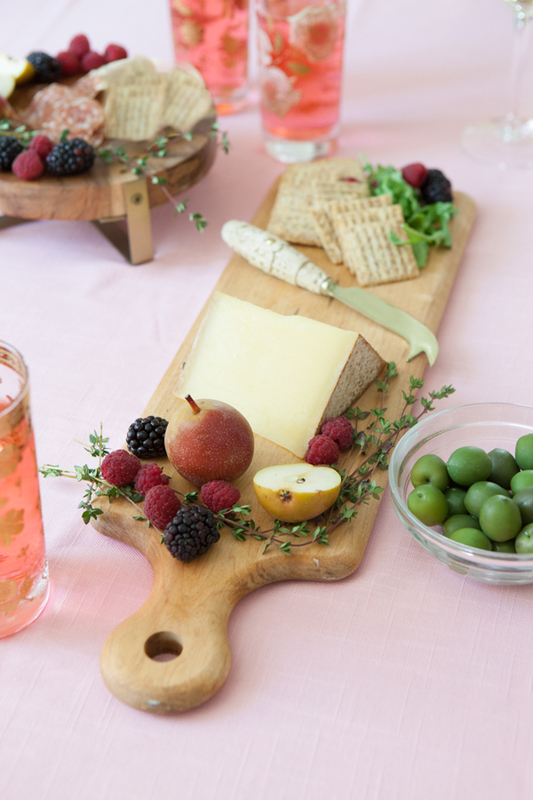 All you need is simple ingredients to make a beautiful cheese board. Most of the foods you can buy in advance. We keep Triscuit crackers, nuts and dried fruits on hand because they keep so well. Even most cheeses keep really well for a few weeks. •Cheese Eaters at a Party are Pretty Lazy. The harder a cheese is to cut the less people eat it. I’ll do things like cut the sides off a wedge so it’s easier for people to cut. I’ll even cut a few pieces to start just to get people going. Certain semi hard cheeses I’ll pre-cut into cubes or slices for easy access. • Pick One Cheese. This is a tip I learned from David Lebovitz. Instead of having several cheeses just get a giant wedge of one really great cheese. That way you don’t end up with several half-eaten pieces at the end of a party. I love this and do this all the time. Choosing the right cracker is important. I always like to try to have a variety of crackers to try with the cheeses! 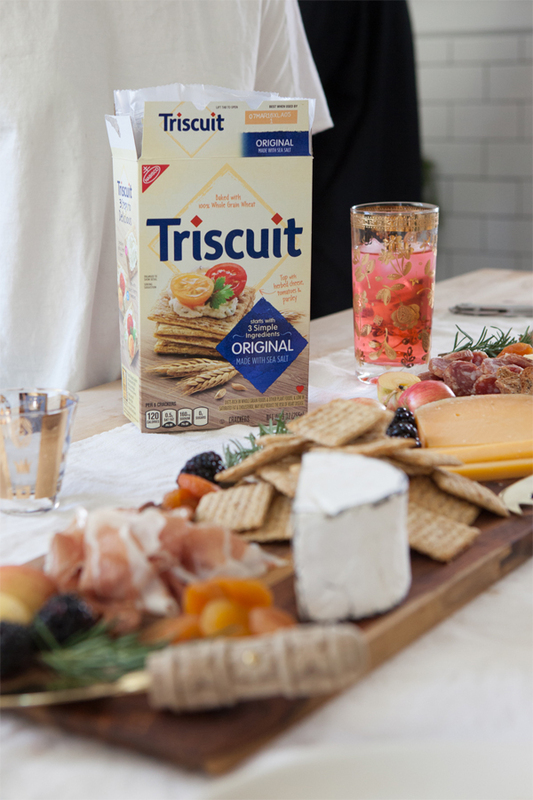 Triscuit crackers are a favorite because the texture pairs so well with creamy cheeses. •Choose a Greenery! Something about green leaves makes everything look more appetizing. I always pick some Rosemary or Thyme or even lay out a pile of Arugula leaves as a garnish. This post is sponsored by Triscuit: Made for More. Another good tip for newbies choosing a cheese, is to try your local cheese shop. I have a few I support, but what I love the most about them, is they will sample you ANY cheese to try. They will educate you on the cheese and where it comes from, etc and what to pair with it, including wine. 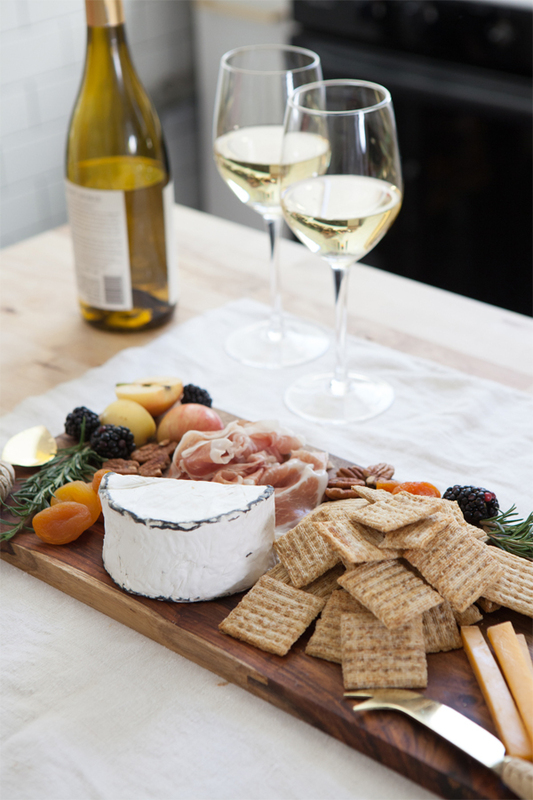 My favorite local cheese shop, The Truffle and Cheese Shoppe, will also provide fresh daily made French bread, dried fruits, meats, nuts and chocolate to make your cheese plate complete. 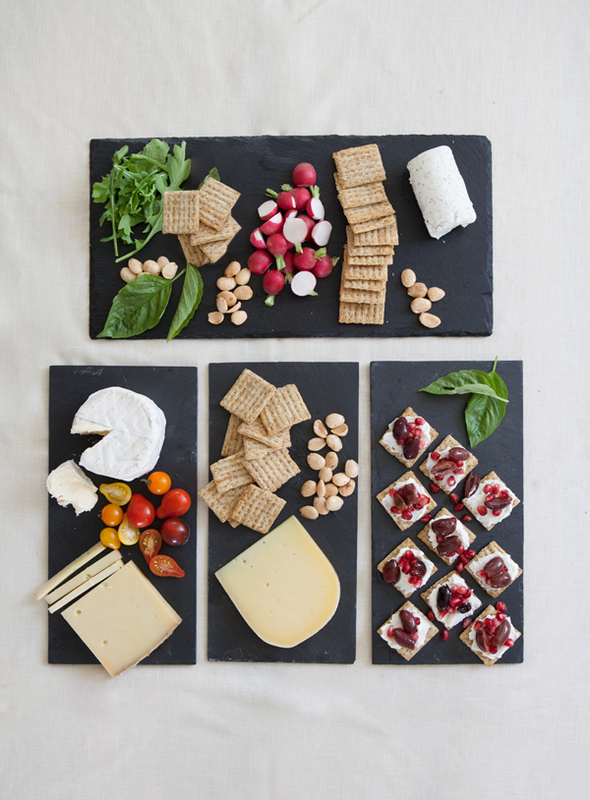 They make cheese plates and have a photo albumn of platters, which I have used for reference when having a larger party. I think arranging those cheese plates is like making a piece of art, everything has to work together to make a great result. It looks amazing and tastes amazing at the same time! Such great tips! And just in time for all of those holiday gatherings! Comte is the best! We almost always have a costco sized wedge in the fridge. Comte is the best! We almost always have a costco piece in our fridge. And I got my husband a year long subscription to a salami of the month club from Olympia Provisions..so we almost always have salami as well! So fun to try different ones. I was hoping for some specific cheese recommendations! What are your favorites to use? 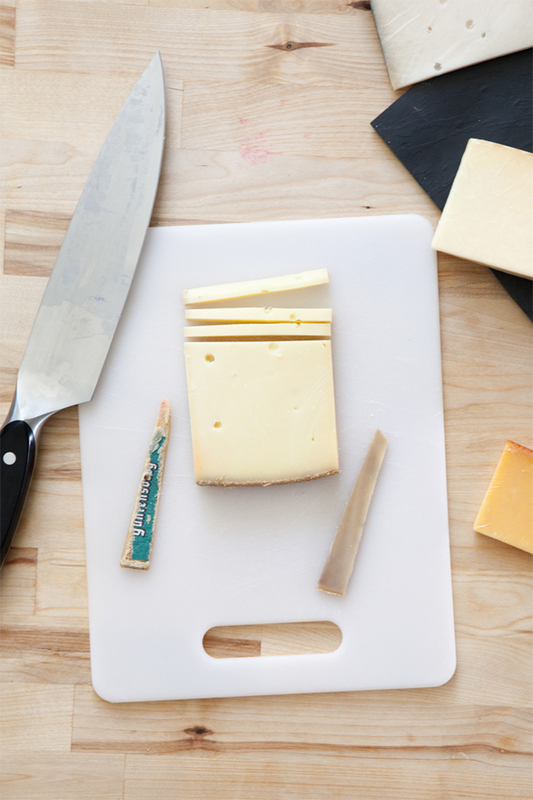 What cheese do you always keep on hand? Lovely article. His name is spelled Lebovitz though. Absolutely divine! Who doesn’t love cheese?! This is the best sponsored post I think I have ever seen…great photography and useful ideas. Wonderful pictures – I love it! 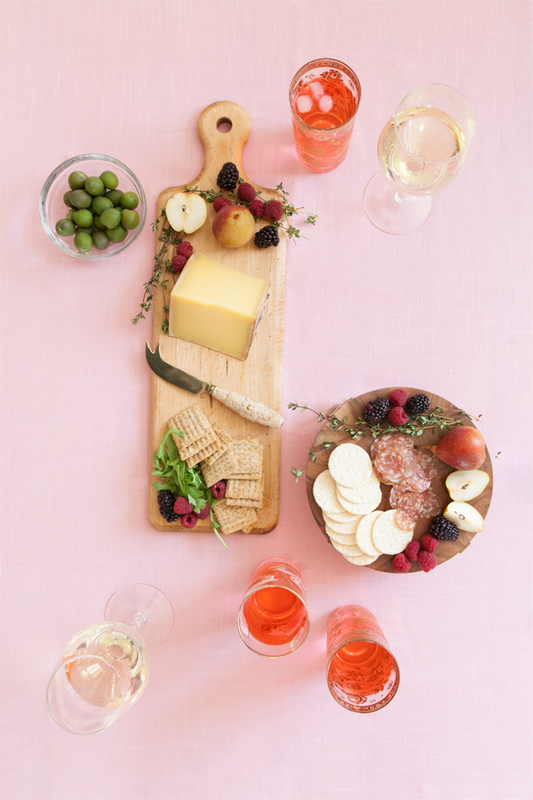 I love cheese especially when presented in a beautiful arrangement such as the ones pictured above. I’d add that grapes would also make an excellent accompanying fruit. Do you have a source for the long dark wood cheese board?